Go large! 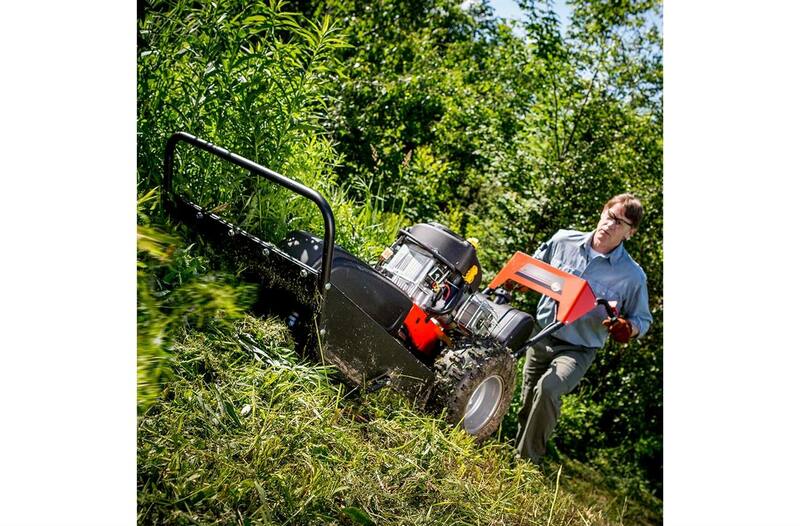 The top-of-the-line PRO-MAX is the most powerful brush cutter we've ever made. 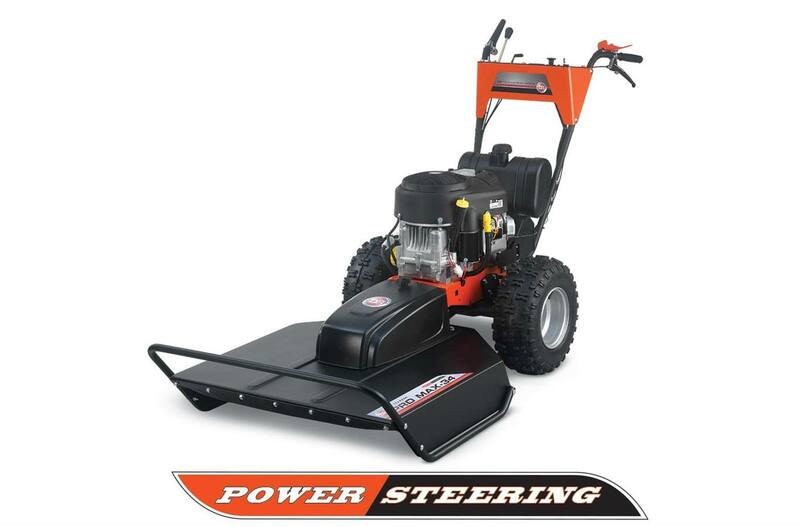 Equipped with an extra-wide 34" mowing deck, you'll get the job done fast. And Power Steering puts you in charge. 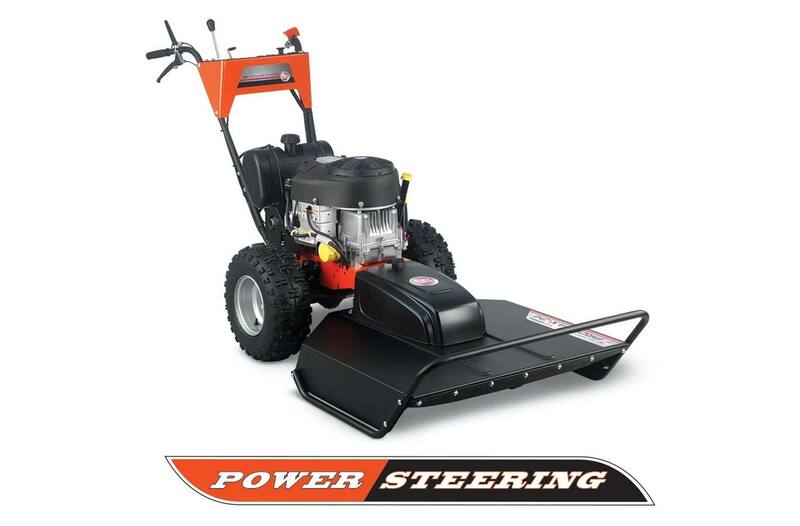 Power Steering is Easy on You! : Our disc brake system provides Power Steering. 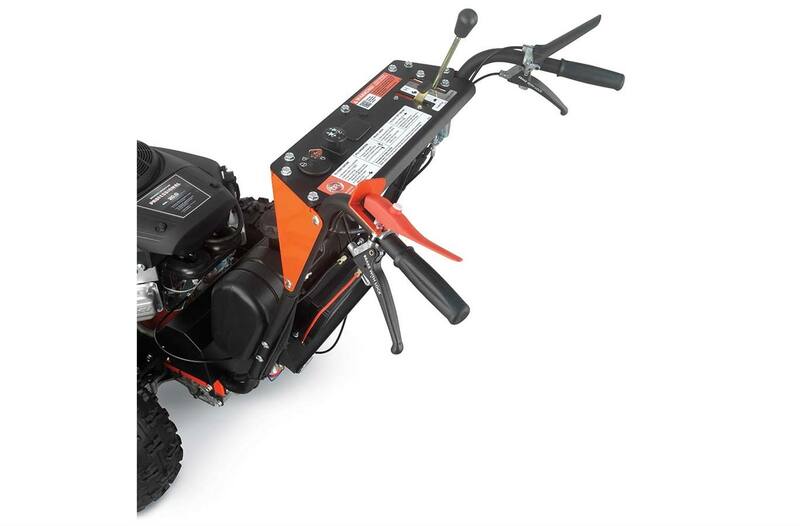 Each wheel is equipped with its own brake, operated by a hand lever. 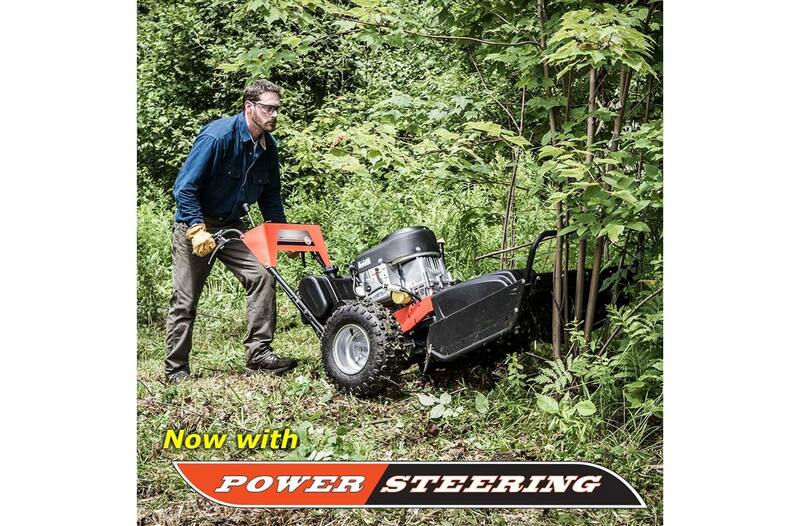 Just squeeze the brake on one side, and the mower will pivot easily around that wheel. You're in control...without wrestling the machine! 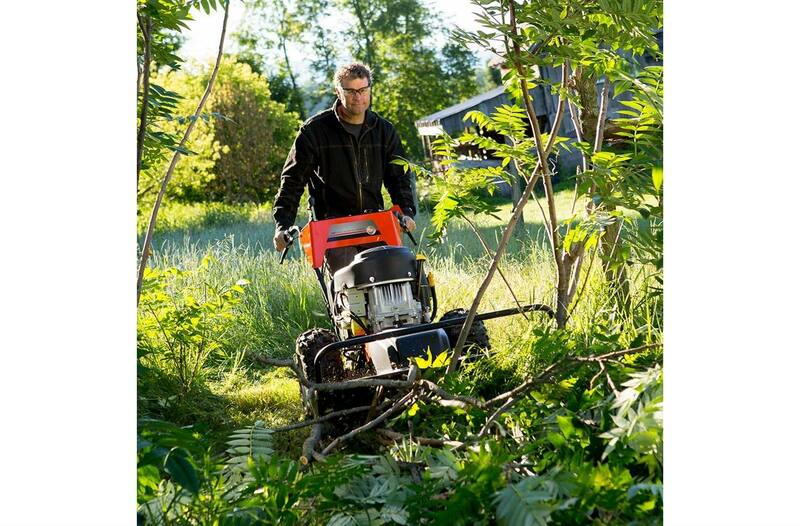 20 HP Briggs Twin-Cylinder Professional Series Engine: The legendary power, performance and durability of Briggs & Stratton® engines make them the obvious choice for our Walk-Behind Field and Brush Mowers. 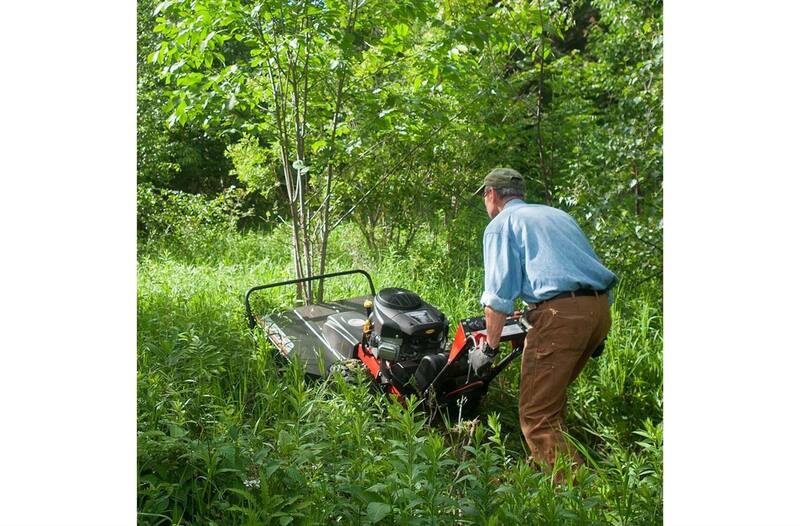 The PRO MAX-34 20 HP model features a Briggs Professional Series OHV twin-cylinder engine, with full-pressure oil pump (great for positive lubrication even on side slopes), a spin-off oil filter, 650 cc of displacement, (two) cast-iron cylinder sleeves, plus easy, turn-key electric-starting. 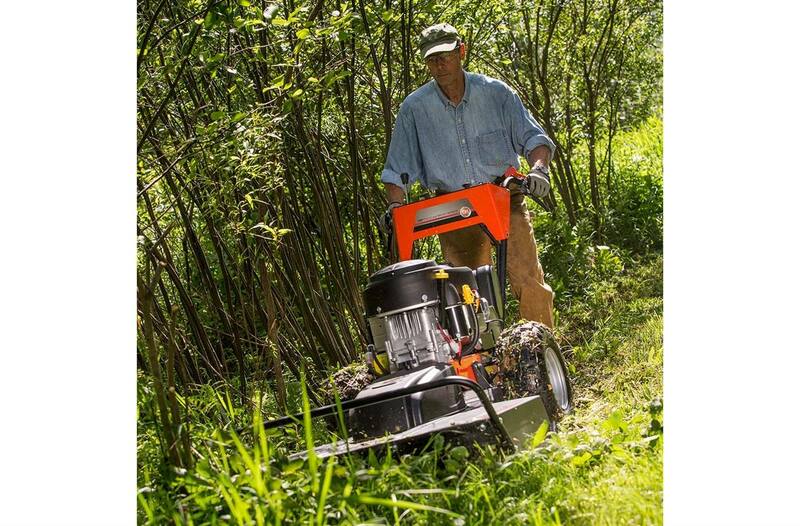 34" Super-Wide Pivoting Deck: The 34" deck on the PRO MAX our widest cut walk-behind brush cutter. 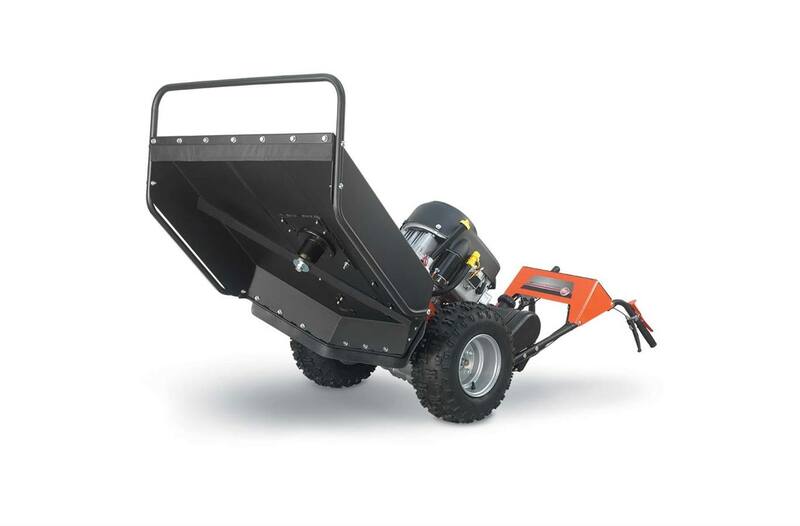 And unlike the rigid, fixed decks found on some mowers, the DR deck pivots from side to side, allowing it to follow the contours of rough terrain. This feature minimizes scalping and improves traction.